Are In-Person Events Worth the Time and Effort? Social Meetings or Social Media? I’ve had this particular blog since 2006, but it was originally to talk about my camera-collecting and photography. I was content with a few photography friends and family as followers. At the suggestion of my son, Jeff (an accomplished architectural photographer), I began my adventure using social media to talk about the world of indie publishing and to promote my books. I also created a writer’s page on the Book of Face, and started making those ultra-short speeches on The Twitter. 2.) It fit in my promotion budget, which was exactly zero. Instead of pursuing any speaking engagements or book signings, I spent my time focused on social media. Book sales went nowhere. When my first book, REICHOLD STREET, was published, I mentioned it to a small group at a monthly writer’s group meeting I attend. Those monthly meetings were, for a long time, the only in-person interaction I had with any potential readers (and it was mostly the same people at each meeting). Not much word-of-mouth going on. It got me thinking that maybe I shouldn’t be so quick to ignore the old-fashioned “dog-and-pony show” authors have used for years to build an audience. It’s called “earned media,” and I’ve mentioned it before, so I won’t bore you with it again. All you need to remember is it’s not something you actually pay for, because it’s essentially word-of-mouth. But that’s the beauty of it. It’s only real expense is your time. To gather earned media all you need to do is get off your duff and talk to people. In other words, do something that gets you noticed, even if its only a little at a time, because you need others to create the buzz for you. Of course, you could always choose to gather immediate name recognition for yourself by running naked through the nearest mall, holding up a sign with your name on it, shouting “Look at me, I’m an author!” and then post the resulting video … along with the shots of you getting arrested … on YouTube. But I’m not going to speculate on how many books you might sell if you actually did it. I had a discussion about earned media (although we didn’t call it that) with self-published historical fiction author Eddie Price. 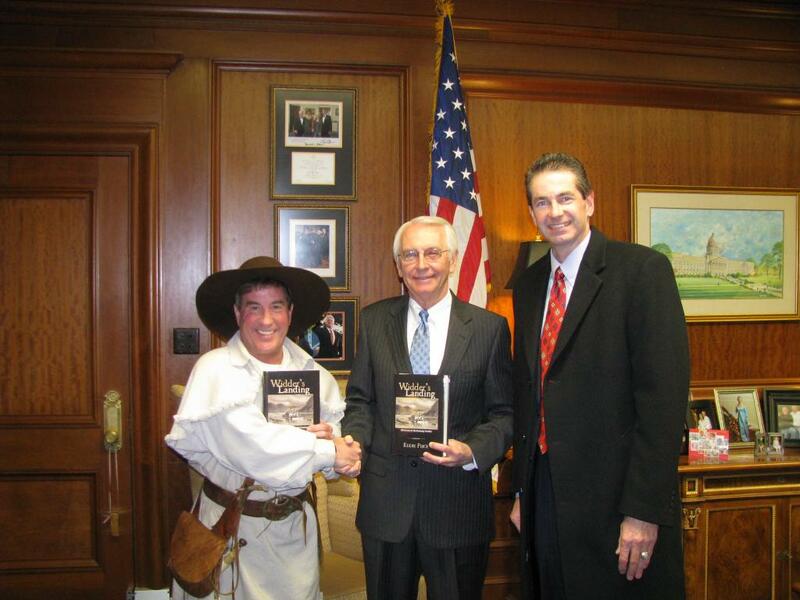 Eddie (below left, with Kentucky Governor Steven Beshear and Keith Steele, President of Acclaim Press) spoke at the Readers Favorite Awards Ceremony last November, and I was impressed by how hard he worked to build his audience. Ed’s book “Widders Landing” (the 2013 Readers Favorite Gold Medal winner for historical fiction), begins in the years just prior to the War of 1812. Eddie said he would often show up at libraries, schools and other events dressed in period costume. He also joined historic battle re-enactment groups, where he found a built-in audience for his genre of fiction. He knows there’s something special about meeting an author in person, hearing him speak and getting a book signed. A connection is formed that puts a human face on the book that makes it memorable and there’s a good chance people you meet will become fans, buy your book (and your future books) and tell their friends about the experience. Eddie’s sales figures are pretty good, and he mentioned he’s visited just about every county in his home state of Kentucky. The real kicker is, on top of it all, he’s having fun. If you want to succeed in this indie-writer business, you should take Eddie’s example as some of the best advice possible: try everything, meet people … and enjoy yourself. Create a plan for 2014 that includes at least three in-person appearances where you can interact with your target audience. 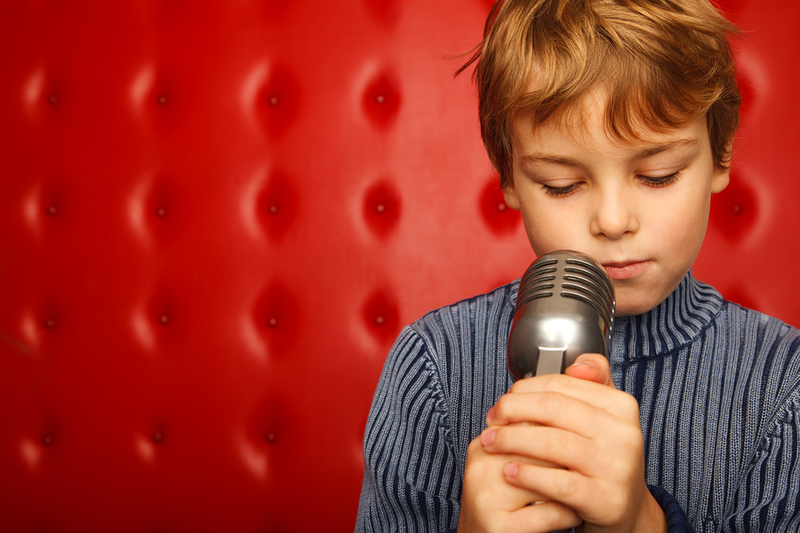 Prepare a fantastic presentation and deliver it at every school, bookstore and library you can handle. Is there a well-attended book festival or book fair near you? Get a vendor booth or table. Better yet, look into being a speaker on a panel at a local writer’s conference, on a topic you’re familiar with. I did just that for the one-day 2012 Rochester Writer’s Conference held at Oakland University, where I spoke on a subject near-and-dear to me: self-publishing. Look into opportunities to speak to library reading groups and high school senior English or Creative Writing classes. You’d be surprised how many will accept your offer when you include a free copy of your book for the library (and maybe a signed one for the teacher). Dressing in period costume works for Eddie Price, because it’s a natural for his historical fiction, but you don’t have to go that far. Just put together some interesting points about your book and your writing process to talk about, relax and be yourself. At the presentations or book signings you arrange, try to be the nicest person in the room. Shake hands. Thank everybody for coming. Make eye contact. Never let ‘em know you’re exhausted. Sign books. Never complain. Make everyone happy. Most readers get a kick out of meeting authors in person, but personal appearances can be more time-consuming for authors than social media. However, for potential readers nothing compares to the real thing. It’s sort of like the difference between hearing a live album and actually being at the concert. Not that social media isn’t something that’s important to an indie author. It is. Big time. Use social media for interaction with readers with regular blog posts, a web site, a media page, a page on the Book of Face and The Twitter to consistently talk about what you’re doing. The best use of social media is to reinforce the connections forged through in-person activity. It’s not easy to put it all together, but nobody ever became successful by sitting around doing nothing. Have you had experience meeting readers in-person? Meeting an author? If so, do you think it was worthwhile? Please share your thoughts and experiences in the comments section. I’ll be doing another book-signing (for my book TINKER) this coming Saturday morning (February 15, 2014) at Michigan Book Boutique, a local indie bookstore featuring Michigan authors, and I’ll be reaching out to schools, libraries, other bookstores and events again this year (when some of this blasted snow melts). This entry was posted on February 14, 2014 at 9:15 am and is filed under Award-Winning Fiction, Book Interviews, Book Promotion, Independent Publishing, Market Your Book. You can follow any responses to this entry through the RSS 2.0 feed. You can leave a response, or trackback from your own site. Very helpful – thanks Ron. Good stuff ….. Good luck this year …. Good thing u have all that PR experience…. !!! This is great advice. It’s very tempting as an introverted author to remain safely hidden behind a computer screen, but actually meeting fans is probably much more effective. Best of luck to you!